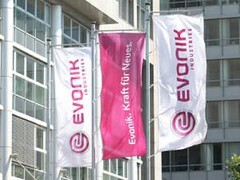 To keep up with rising market demand in the photovoltaic sector, Germany-based Evonik is expanding production of its crosslinking boosters, triallylcyanurate (Tac) and triallylisocyanurate (Taicros), at its Wessling facility at the end of 2013. Crosslinking additives help protect the photovoltaic cells from ageing and discolouration, while increasing the transparency of the films, thus ensuring that performance is maintained in the long term and increase the life of the solar modules. Moreover, the crosslinking boosters play an important role in reducing the cure time of the EVA encapsulation film, thus increasing the efficiency of the production process.